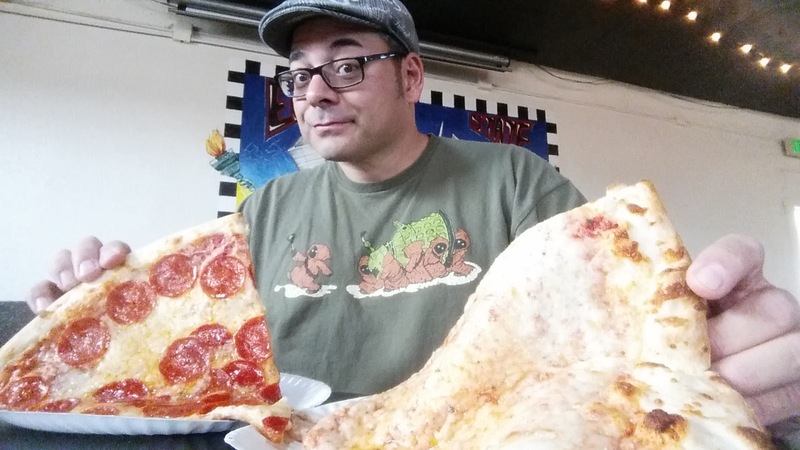 The 'Pizza Chap' is a blog dedicated to all things pizza. My name is Darrin, and I am a lifelong pizza fanatic. Pizza has always been a huge part of my life. It's actually the first thing I ever remember eating! Growing up, my family laughed, cried, celebrated, socialized, and had deep and meaningful conversations over pizza. I've been a pizza delivery guy and have worked in a pizzeria making pies. I have been honing my pizza making craft at home for years, tweaking my dough and sauce recipes, all the while keeping detailed notes along the way. I collect pizza related items, and study the history and fine art of pizza making. I go on "daycation" type excursions to seek out new pizzerias and to try new pizza varieties. Pizza is deeply ingrained in my life, and now that I'm raising a family of my own, I think the same thing can be said for my brood. I have written for hobby, food, and lifestyle blogs & websites since 1996. One constant, has been that pizza always seems to somehow creep into the content I produce. I have many varied interests and hobbies, and I very much consider my passion for pizza a hobby in itself. In 2016, I decided it was finally time to give myself a dedicated space to write about this love of my life, that always seems to be on the forefront of my mind. When I think about it, I'm frankly shocked that I haven't given this a whirl years ago. 1). I am not 'Pizza Snob'. Therefore I do not tout certain pizza styles as being superior to others. I understand that one's taste in pizza can be very subjective, so I will never use this blog as an avenue to bash others pizza preferences. If a pizza tastes good to you.. then it's a 'Good Pizza'. 2.) I am not a 'Pizza Critic'. Most certainly, my taste will differ from others out there. I will always try to objectively review pizzas, and share detailed findings. Also.. you will not find negative reviews on establishments here. 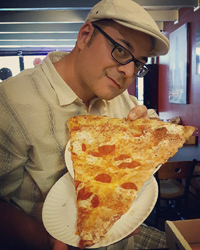 I don't believe in messing with anyone's livelihood, and will focus on sharing information about the best pizzerias I come across in my travels. I will never stop eating pizza and will always be sampling, pondering, talking, making, dreaming, and thinking about it. Which in turn gives the writer in me, endless content to share with my fellow pizza fanatics. I'm not sure how this blog will take shape and evolve as time passes, but I sure am excited about taking this journey to find out.